When it comes to carpet stains there is nothing more difficult to deal with then pet urine. Not only does it stain the carpet but it corrupts the carpet pad underneath making it impossible to remove. Then there's the smell. We all know that smell. It hits you the moment you walk into a room. The pungent alkaline smell of ammonia that can easily be over whelming. The good news is that if your in Tampa FL there is a solution. But, I just told you that pet urine is almost impossible to remove. It's true. However, it can be treated to eliminate some of the most significant problems associated with it. Chem-Dry of Tampa has a pet urine removal service that eliminates the odor and reduces, and in most cases removes the urine stain as well. Chem-Dry of Tampa can clean, sanitize and treat the pet urine stains in your carpet. Most other pet urine removal services use enzymes to remove urine stains in carpet. Enzymes only work some of the time because there are some conditions that make them ineffective. Things such as medication, diet, illness, or age of your pet can mitigate the effectiveness of enzyme based treatments. Chem-Dry of Tampa FL uses an oxygenating treatment that destroys odor molecules before they are released from the urine crystals. 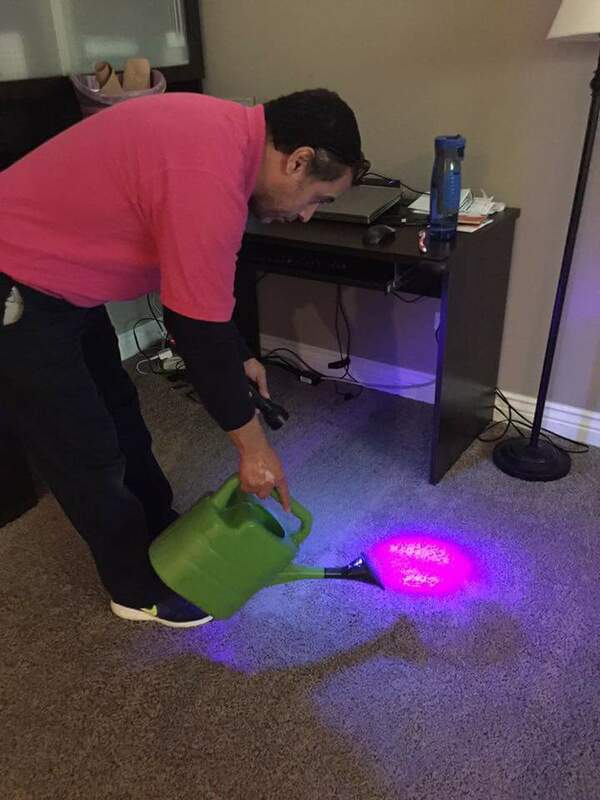 Effectively ridding your carpet of any ammonia based smells. You don't have to worry about whether the enzyme is going to work on your pets particular urine stain. All pet urine can be oxygenated.